We’ve already discussed two kinds of junk—just-in-case junk and component junk—that we keep around because we think we’ll use it in the future. But what about junk you simply know you’ll never use, yet keep around anyway? That sweater you bought that ended up looking better on the mannequin than it does on you. The Vitamix you splurged on when you were committing to a life of kale smoothies for breakfast, before you realized you don’t like kale—liquefied or not—and never leave yourself enough time for breakfast anyway. Or those heels that go so exceptionally well with your favorite summer dress, spare the minor detail that you physically cannot walk in them. Sunk-cost junk is a microeconomic quagmire we all find ourselves in at one point or another: we paid money (often a lot) for something we deemed worth it, before later realizing the purchase wasn’t worth it, and because we spent so much money to begin with, we refuse to give up the good and swallow the sunk cost. I won’t talk about this variety of junk as much as the others because it’s less pervasive and often more obvious, both in its physical form and in its solution. It’s not difficult to find your sunk-cost goods: just check the closet for anything with a tag still on it, explore the drawers for any items still in their original packaging after way too long. Sunk-cost junk and just-in-case junk may manifest themselves in the very same form depending on the intentions of the owner. Whereas one person may view their untouched skis as just-in-case junk they haven’t yet put to use but hope they someday will, another may be stashing their own set of skis because they spent so very much on them and would hate for that money to go to waste—that they have sworn off snow and never want to hit the slopes again is besides the point. As for the solution? Sunk-cost junk is just like sunk-cost anything: holding onto it, more often that not, will only increase the cost, whether in the form of fiscally-taxing storage space or mentally-taxing clutter. So swallow the cost once and for all and be done with it. We acquire sunk-cost junk because we misjudge our intentions: we think we’ll use something we’ve decided to buy, and then things change. Yet sometimes, we buy things already knowing that we’ll never use them … because they’re inherently useless. 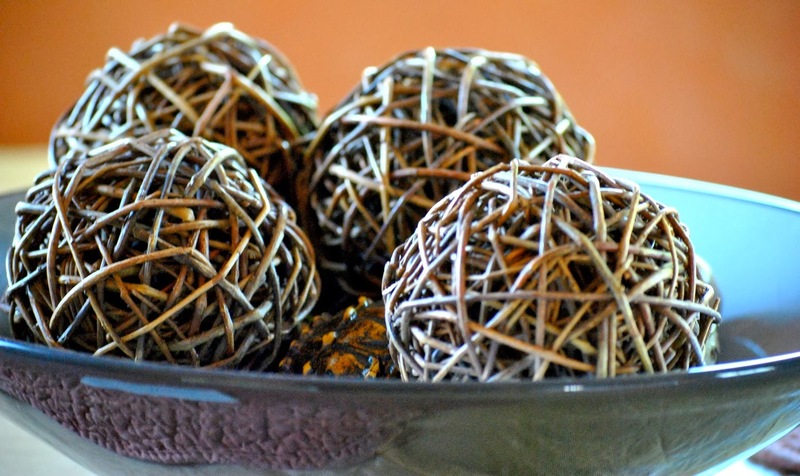 A ceramic bowl of wicker spheres. Anything non-edible in a bowl, really. A tabletop statue of Buddha purchased at a local Target, or a stack of old Washingtonians, or a little bubbling fountain of superglued pebbles. Filler junk often goes by another name—decor—which makes it sound cultured and necessary and regal, though it’s often anything but. Because we generally live in dwellings larger than those we need, we inherently have surplus surface area: bare plateaus of oak and pine, an archipelago of coffee tables and endtables and accent tables and mantles, vacant corners and even vacant rooms, all which need “filling,” lest we look like squatters or fugitives. And so we buy, not for function, but for fill. We need something to go on that table over there—doesn’t really matter what it is. Volume over value. We buy books we’ll never read (“coffee table books”), candles we’ll never light (“show candles”), and wicker balls we’ll never use for anything because, well, they’re wicker balls. To be fair, decor does serve a function—decoration—these accessories, we think, make our homes look warm and inviting and full of cultured character. Here lies a copy of the latest New Yorker, look how learned I am! Oh, this chessboard with its pieces arranged in a mid-game configuration? Yes, our family is a chess family and we must have just left it just that way, midgame and all. Ah, these wicker balls: yes, I wickered them myself, because I like to work with my hands. Decor that tells tales of who you really are is good: souvenirs from your travels, your adventures, your life. We keep these by the bedside not because they fill up space but because they fill up us. Decor doesn’t give our homes character, we give our homes character, and our homes are but a reflection of us, character and all. As such, purchased decor, mass-produced decor, is often—not always, but often—not a reflection of who we are, but a deception of what we hope to present to the world, to our house guests, to ourselves. There’s a beauty in the bare surface, the unshelved wall, the clean hard lines of simplicity. Were your house burning to the ground, this filler junk is likely the last thing you’d think to save from the inferno, valueless as it is, so rather than spend money buying it, time dusting it, energy flipping through catalogs searching for just the perfect thing to go in-that-corner-over-there, let the filler come to you. Accumulate accidentally, possess passively, obtain unintentionally and you’ll find, in time, that those spaces will fill themselves: not with all the latest from Pottery Barn’s spring line, but with all the most cherished from your life’s fondest memories. This post is the third of a series on living simply. More to come soon. Cross-posted at Adventures in Simplicity.